Some of life’s best memories are the ones we collect when travelling overseas. We never forget that perfect steak in Argentina, the purple sunset over French Polynesia or the deer that grazed outside our B&B in Canada. Foreign travel accomplishes more than just giving us a break from our normal lives – it opens our eyes to entirely new worlds that we never knew existed. Your reason for overseas travel might be a long-overdue holiday, a business trip, a student exchange, a working holiday or the fulfilment of a lifelong dream to visit Japan, Iceland, Kenya or Colombia. In theory, if your passport expires in August of 2021, you should be able to travel until August of 2021, right? Um, no. Many countries have a rule requiring you to have at least 6 months validity left on your passport from the date after you return home. The reason for this is that if you get stuck longer than planned in a foreign nation, they want to know you’ll have a valid passport to eventually get back to Oz. If your passport is close to lapsing, many countries will deny entry. Traveller’s cheques are still around but it’s hard to understand why, since it’s much more convenient to use debit or bank cards to access cash abroad. Fees for overseas ATM use will vary depending on your bank, your card and your destination, but it’s still the easiest way to keep local currency in your pocket. It’s best to use your card during daylight hours when the bank is open – that way, if the foreign ATM inexplicably swallows up your card, you can immediately seek help from bank staff. Also, be aware that some overseas ATMs have fairly strict limits on how much you can withdraw per day. Is your travel information up-to-the-minute? The Smartraveller website is a great source of useful info on safe travel to different countries, with regular updates on disease outbreaks, natural disasters, terrorism, crime risks, recent civil disturbances, etc. For most parts of the world, you can usually find an online travel forum (or dozens) that will help you decide what to see, what to do and what to watch out for on your journey. One of the first things to obtain in a foreign city is a decent map. Grab one of your hotel’s business cards as well. Given that it will be printed in the local language, it’ll be much easier to show this to a taxi driver than to try to explain in Portuguese, Mandarin or Greek exactly where your hotel is. If there’s a tourist information office nearby, check it out – it’ll have heaps of ideas for getting around and seeing the sights. Plastic cards have certainly made global travel convenient, but if you forget to advise your bank which countries you’re visiting beforehand, you can have trouble. When a mysterious charge appears on your card from Libreville (Gabon), Stavanger (Norway) or Menorca (Spain) and your bank doesn’t know you were planning to visit these areas, they’re going to assume someone else is fraudulently using your card. In that case, they’re likely to cancel the card immediately. 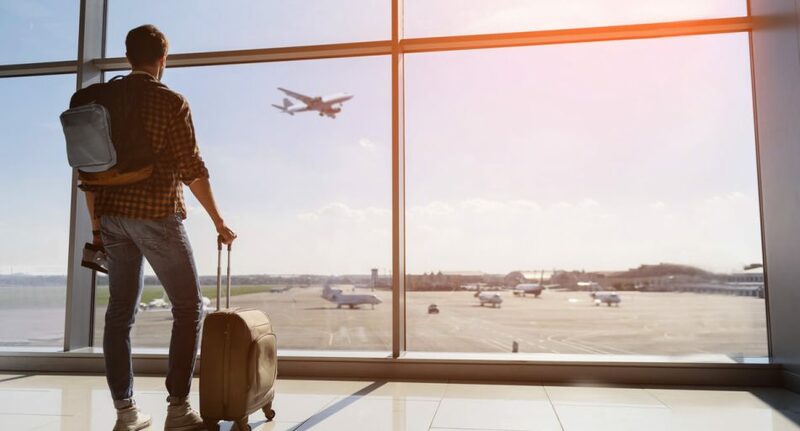 Sorting out the resulting hassles from abroad can be a pain, so avoid the aggravation by informing your bank of travel plans prior to departure, either by phone or online. And if you change your itinerary while abroad, give them an update. Nothing sets a tourist apart like ‘obvious foreigner’ clothing. For men, this can be shorts in a country where the local men rarely wear shorts. For women, it might be exposed shoulders in a nation where this is frowned upon. Every country has its own customs and cultural expectations and when it comes to attire, it pays to show respect. Some tourist attractions (temples, mosques, etc.) may also have their own sets of rules, such as ‘no shoes’, ‘head scarf required for women’, etc. While it’s not uncommon for regular business travellers to have international calling/data plans on their cell phones, this isn’t usually the case for holidaying travellers. A cell phone can come in handy overseas, but you’ll get a nasty shock on your phone bill if you head abroad and forget to turn off data roaming. The costs of transmitting data overseas can be exorbitant, so contact your phone service provider before departure for options to avoid these costs. Every overseas destination has its own safety risks, just like it is in Australia. This might be anything from altitude sickness to dodgy food hygiene. There’s no need to be paranoid about safety abroad, but you do need to be vigilant about known dangers. Read up beforehand so you know which neighbourhoods to avoid, whether to drink the tap water and which areas are renowned for tourist scams. Common sense avoids many problems (hint: small tents are no deterrent to hungry lions or hyenas when camping in Tanzania!). Wherever possible, organise a taxi with your hotel (or a restaurant) in advance, rather than flagging one down in the street. Some foreign taxis are legit and some are less so. If you’re ever in doubt about the look of any taxi or driver, find another. If there’s no meter, agree on a price beforehand so there’s no argument later. Understand the local currency well enough to know if you’re being given the wrong change. Other than that, enjoy the ride – taxi drivers are excellent sources of local information about a new place. Nothing messes up a perfectly good holiday like having your cash, credit cards or passport stolen. Store valuables in neck pouches or money belts under your clothing rather than wallets and purses. Before travelling, invest in some trousers, shorts, tops or jackets with pocket zippers – these make life tougher for pickpockets. Leave expensive jewellery at home and be careful of the old “Would you like me to take your photo?” scam – where as soon as that helpful, well-dressed teenager has your expensive camera in hand, they race off into the distance with it. If you’re off to the beach and want to bring a little money for ice cream or a drink, make a slit in the rubber of your ratty old flip-flops and hide a folded note in there (not in the shorts you leave on the beach while swimming). If you want to stroll around at night, stick to well-lit areas with plenty of activity. Learn where the no-go areas are and stay out of them. No matter which country you visit, it’s always advisable to learn a few simple pleasantries in the local language. At a minimum these should include: please, thank you, my name is…, hello and goodbye. You should also be able to ask someone if they speak English, where the nearest toilet is and how much something costs. Your pronunciation doesn’t have to be perfect – even a stumbling effort at communicating is appreciated by the locals. It shows you’re trying. A mini-phrasebook can be a lifesaver at times; if you’re carrying a smartphone, install a translator app or two as well. Not every medication that’s legal in Australia is legal in every other country as well, so check with the relevant consulate/embassy about the legality of your medicines. If you’ve visited your travel doctor before departure, they’ll be able to give you a signed letter listing your medications (both prescribed and over-the-counter). This can be a big help with officious customs inspectors abroad. If you run out of something basic (nasal spray, lip balm, headache tablets, etc.) you should be able to find similar products in overseas chemist’s shops – just be careful with dosages as these might be different to what you’re used to. Ask any travel agent or overseas tour operator and they’ll be happy to tell you horror stories about Aussies who had their Fijian honeymoon cancelled because of a cyclone, or had to be medically evacuated from the Himalayan foothills in Nepal after contracting an illness, or fell off a scooter in Bali, or had their passports, money and credit cards stolen from their hotel room in the Czech Republic. Unexpected things happen all the time to overseas travellers – and the best way to protect yourself against such calamities is by taking out appropriate travel insurance before you leave Australia. If you can’t afford travel insurance, you can’t afford to travel. The longer you leave booking your seat number, the greater chance that someone else will get your preferred spot. On an 11-hour flight, being stuck in the middle seat between a non-stop talker and a hefty armrest-hogger is never much fun. If you’re planning to take an internal domestic flight in another country, check whether it’s cheaper to reserve this in conjunction with your international flight or to book through that country’s airline. There can often be a significant price difference. Not all foreign airports are as quick, efficient and technologically advanced as what you’re used to at home. Check in for flights abroad in plenty of time and go through security as soon as you can. There may be extra checks you hadn’t anticipated. Make maximum use of stopovers where available. They’re great for giving your body a rest, doing some shopping and breaking up a horrendously long plane journey. Whenever you’re in your seat, keep your seatbelt fastened, just in case. Air turbulence can range from mildly inconvenient (it spills your apple juice) to downright nasty (it bounces you out of your seat). Do your research ahead of time about transportation options between the airport and your hotel. Shuttle buses or local minibuses can work out a lot cheaper than taxis, especially if the distances are long. Australia has some of the strictest quarantine regulations in the world. There are several ways to find yourself spending extra time with Aussie customs (and possibly the Federal Police) if you do the wrong thing. Bringing in illicit drugs is an obvious no-no, but there’s more: you also have to be fastidious about cleaning foreign soil off your shoes and hiking equipment. Wooden artefacts bought overseas can harbour insect pests, so these must be declared. If you have fishing gear, an inflatable boat or other equipment in your luggage that’s been in contact with foreign waterways, make sure it’s bone dry and free of weed – otherwise you may have to pay extra to have it disinfected at the airport. Bringing animal products back to Australia is also a serious matter, so leave that pretty sea shell, bear-paw ashtray or Ugandan buffalo jerky behind.